Happy Thursday folks. I guess today is my Friday, no school tomorrow Oscar just informed me this morning. Not sure when I became clueless out of the loop mom but I’m ok with it. Keeps things fresh and exciting. 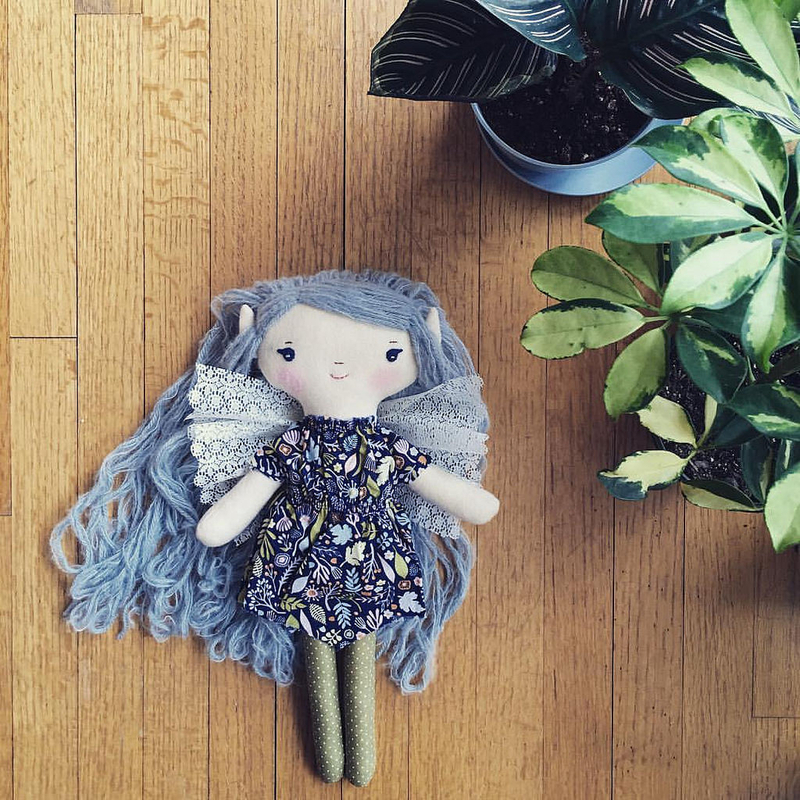 I’m working on Spring fairy dolls today. I like the dress, the ears, the hair, now I just need to figure out the wings. I want them to be removable for play, otherwise I’d just sew them to the dress so they’d lay exactly how I want. I was trying to find a way to have dress up wings for a doll without having armbands and unearthed these oversized hook and eyes in my button box. I wonder if these will do the trick. I will have Phoebe field test when she gets home from school. She is adorable:) I love the elastic on the wings from the fairy I got from you. It’s soft and I don’t have to worry about my daughter having them catch on anything. Also easy for them to be removed and put back one. Good luck with the product redesign.